When Science Looks Like Religion: The theory That Would Not Die. 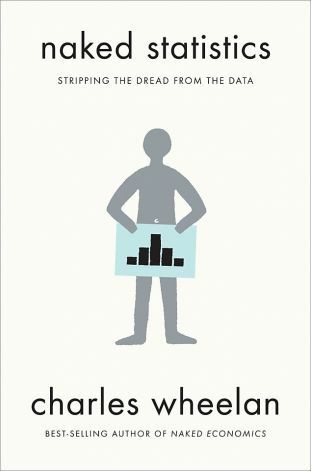 It is the third book I read about statistics in a short while and it is probably the strangest. After my dear Taleb and his Black Swan, after the more classical Naked Statistics, here is the history of the Bayesian statistics. P(A), the prior, is the initial degree of belief in A.
P(A|B), the posterior, is the degree of belief having accounted for B.
the quotient P(B|A)/P(B) represents the support B provides for A. Another way of explaining it mathematically is Bayes’ theorem gives the relationship between the probabilities of A and B, P(A) and P(B), and the conditional probabilities of A given B and B given A, P(A|B) and P(B|A). I was never really comfortable with its applications. I was probably wrong again, given all what I learnt after reading Sharon Bertsch McGrayne’s rich book. But I also understood why I was never comfortable: for three centuries, there’s been a quasi-religious war between Bayesians and Frequentists on how to use probabilities. Are these linked to big, frequent numbers only or can they be applied for rare events? What is the probability of a rare event which may never occur or maybe just once? I am not sure what will come out, but I should try!]. If you want a good summary of the book, read the review by Andrew I. Daleby (pdf). 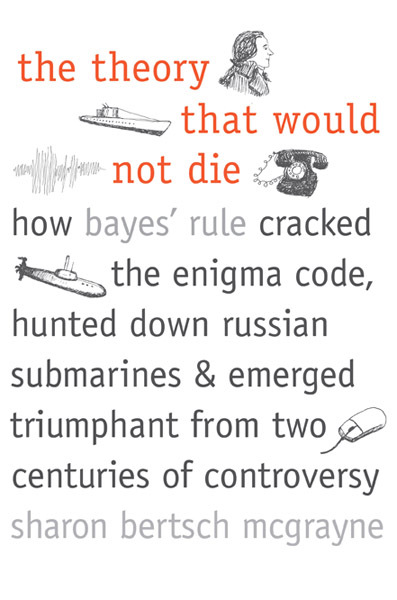 McGrayne illustrates the “recent” history of statistics and probabilities through famous (Laplace) and less famous (Bayes) scientists, through famous (the Enigma machine and Alan Turing) and less famous (lost nuclear bombs) stories and it is a fascinating book. I am not convinced it is great at explaining the science, but the story telling is great. Indeed, it may not be about science at all. But about belief as is mentioned in the book: Swinburne inserted personal opinions into both the prior hunch and the supposedly objective data of Bayes’ theorem to conclude that God was more than 50% likely to exist; later Swinburne would figure the probability of Jesus’ resurrection at “something like 97 percent” [Page 177]. It obviously reminded me of Einstein’s famous quote: “God does not play dice with the universe.” This is not directly related but for the second time in my life, I was reading about links between science, probability and religion. This entry was posted in Must watch or read and tagged Mathematics, Science, Statistics on July 22, 2013 by Hervé Lebret.